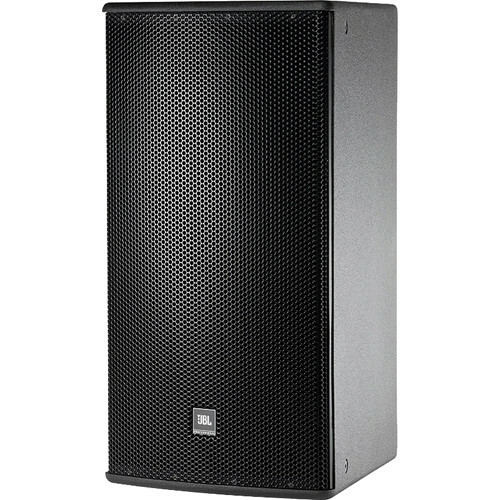 The JBL AM5215/66-WRC Weather-Resistant Speaker is a lightweight, 2-way, full-range medium-power loudspeaker system that features the JBL differential-drive dual-voice coil and dual-magnetic gap 265H-1 15" low-frequency driver, and the 2408H-1 high-frequency 1.5" exit, 1.5" voice-coil compression driver. A 60 x 60° coverage pattern is provided by the large format PT-H66HF-1 Progressive-Transition waveguide, which rotates so that the loudspeaker system can be used in either vertical or horizontal orientation. Its high-slope passive network minimizes band overlap. Its well-controlled off-axis response enhances the cabinet's arrayability. Box Dimensions (LxWxH) 32.5 x 21.0 x 17.75"